Hanalei Island IPA lands in the Golden State | Kona Brewing Co.
After launching exclusively in its home state of Hawaii in August 2016, Kona Brewing Company is proud to introduce its newest year-round beer, Hanalei Island IPA, to the U.S. mainland starting today in California. 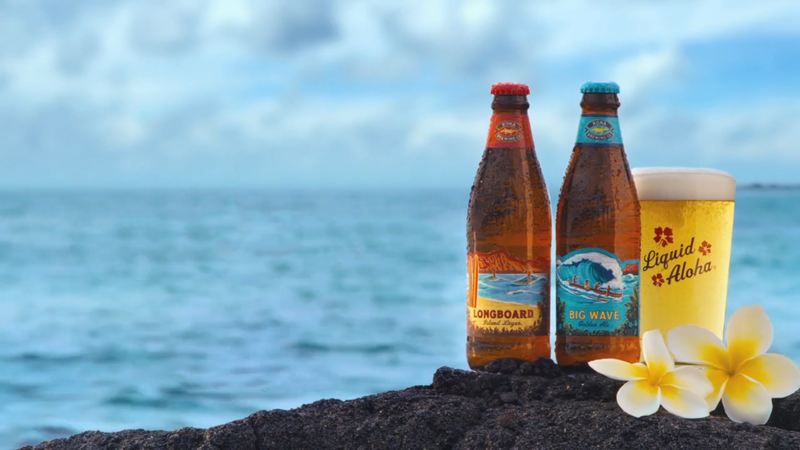 “Kauai is one of the most beautiful place on earth, and as we’ve done with our other beers, we wanted to create a distinctive IPA that reflected the spirit and flavors of the islands, which are our home,” said Sandi Shriver, head of Kona Brewing Company’s brewery operations. Kona Brewing Company began developing the recipe for Hanalei Island IPA in mid 2015, and the beer officially launched in Hanalei in August 2016. Brewmaster Ryan McVeigh worked tirelessly to ensure the right balance of all the attributes—soft bitterness, a sessionable ABV and balanced POG aroma and flavor that is present but not overpowering—resulting in the ultimate drinkable IPA. Hanalei Island IPA is named after the historic town of Hanalei and world-famous Hanalei Bay, a magnificent crescent shaped bay tucked against lush green mountains streaked with waterfalls. Available year-round, Hanalei Island IPA is the perfect beer to enjoy in California’s warm coastal climate, and to accompany casual Californian fare such as seafood, tacos, pizza or pasta dishes. Hanalei Island IPA will be available in six-packs at select retailers in California ahead of its wider U.S. mainland distribution in early 2017. It will also be available on draft at select California locations in late December.